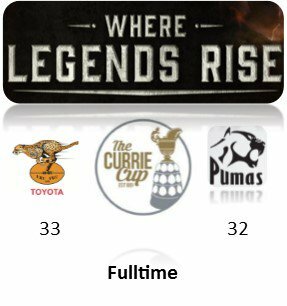 We have a couple of games this evening with the Currie Cup clash between the Free State Cheetahs and Steval Pumas kicking it off this weekend. PRO14 has it’s normal share of Friday night matches and the important one for us will be the Cheetahs taking on Leinster in Bloem. We have some great matches which can be followed on Supersport and for the the others we will keep updated throughout the weekend as it happens.